The Defence Acquisition Council headed by Defence Minister Nirmala Sitharaman has approved the acquisition of the Rs 1,200 crore Milan-2T anti-tank guided missiles from France. While the requirement was of 70,000 different types of anti-tank guided missiles (ATGM) and 850 different launchers, the DAC has approved the purchase 5,000 Milan 2T anti-tank guided missiles from France. The Defence Acquisition Council (DAC) headed by Union Minister of Defence was constituted to ensure a fair defence procurement planning process. The Council aims to ensure expeditious procurement of the requirements of the Armed Forces in terms of capabilities sought and time frame prescribed by optimally utilizing the allocated budgetary resources. Categorization of the acquisition proposals relating to 'Buy', 'Buy & Make' and 'Make'. Decision regarding 'offset' provisions in respect of acquisition proposals above Rs. 300 crores. Decisions regarding Transfer of Technology under 'Buy & Make' category of acquisition proposals. The Milan ammunitions consist of the missile in a waterproof launch tube. Q. 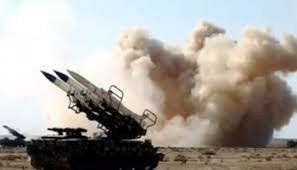 The Defence Acquisition Council headed by Defence Minister Nirmala Sitharaman has approved the acquisition of the Rs 1,200 crore Milan-2T anti-tank guided missiles from which country?